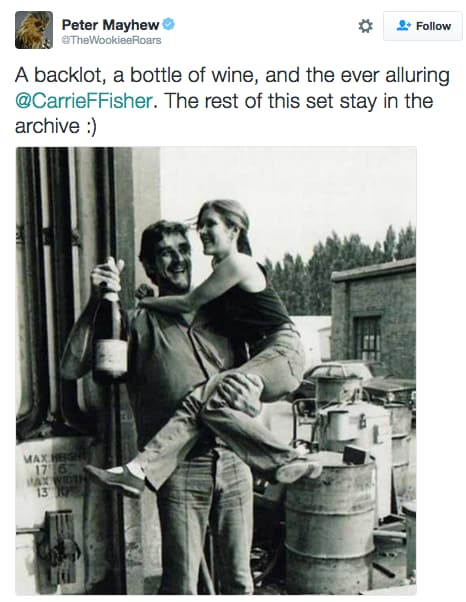 In 2014, actor Peter Mayhew -- a.k.a. 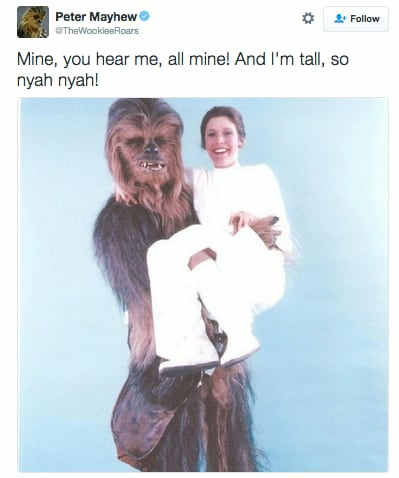 Chewbacca -- treated "Star Wars" fans to some production pics of Carrie Fisher taken while she was playing Princess Leia on the set of the original trilogy...along with some rather cheeky captions. As the world remembers Fisher's incredible career, here's a look back at her time filming her most famous role. ...and then doing it again in full costume. Fisher sunbathing in her infamous slave outfit with her stunt double while taking a break from filming "Return of the Jedi." Mark Hamill taking a stroll with Fisher while looking far less dramatic than he did while playing Luke in "ROTJ"
Production photo of the infamous Luke/Leia kiss scene from "The Empire Strikes Back" being filmed. 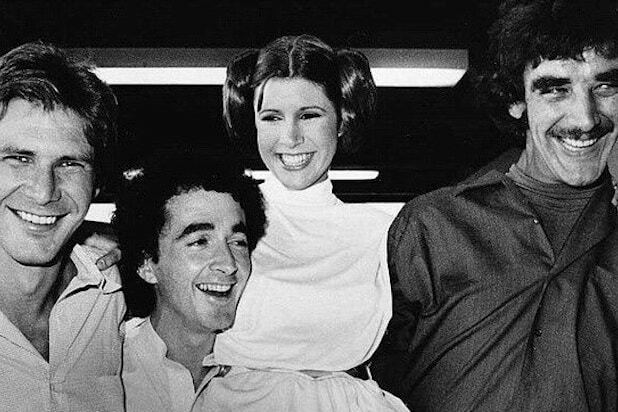 Fisher taking a break during filming of "Empire Strikes Back"
Apparently Princess Leia's bun-hair was very bouncy. Fisher in a snowball fight on Hoth. "There are no words for this loss," wrote Mayhew after Fisher's death. "Carrie was the brightest light in every room she entered. I will miss her dearly."